It Was a December Like No Other for Days of Our Lives' James Reynolds! 32 years - can you believe it? What a milestone! 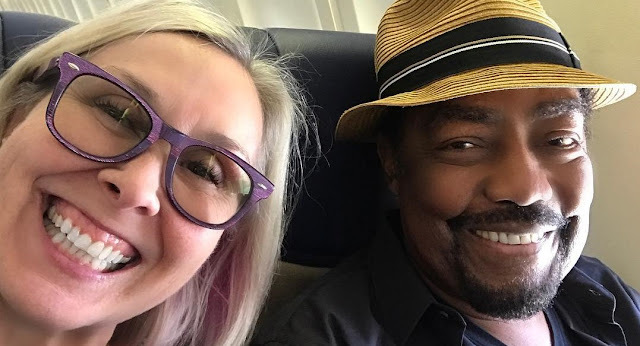 'Days of Our Lives' fan favorite James Reynolds (Abe Carver) not only had a month of power-packed, outstanding and Emmy worthy performances for December but it was also during this month that he celebrated a great milestone - 32 years of marriage to his wife Lissa Reynolds on December 21. As we celebrate their 32 years of togetherness, love, happiness, joy, peace etc check out a few highlights of James and Lissa below! Happy new year!💜🎉and many more!! Watching #clippers & #jazz play at #staplescenter celebrating #latinoheritageday & our friend teacher #LisaWhalin honored for dedication to students at #fletcherdriveelementary school! The man I have loved for 32 years! Happy anniversary 💜Happy New year🎉To be continued...! Soap Opera News: It Was a December Like No Other for Days of Our Lives' James Reynolds!